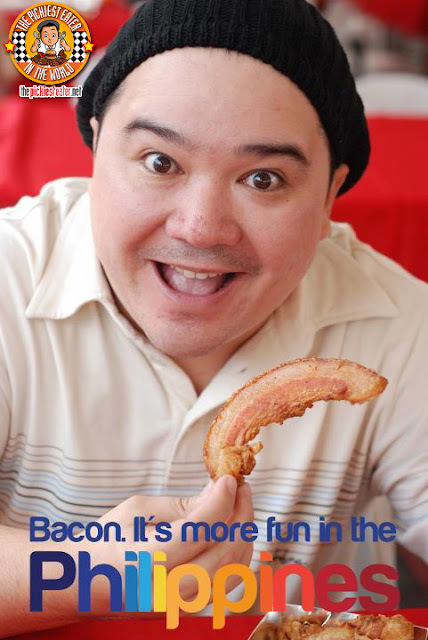 THE PICKIEST EATER IN THE WORLD: BACON. IT'S MORE FUN IN THE PHILIPPINES. hahaha! and I'm just about to post the same concept.hahaha. haha share the link Michy! Glad you Saw it, michy! Nice!! you better believe it, Edelweiza! That absolutely is, Manila Q! Whenever I'm at Mercato Centrale, I always resolve to try something new,yet I keep ending up back with you!